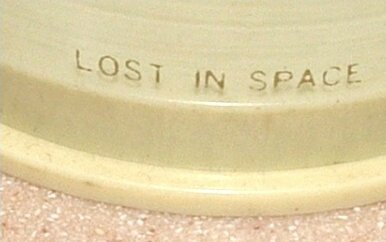 These are the rarest items to obtain within LIS collectibles. 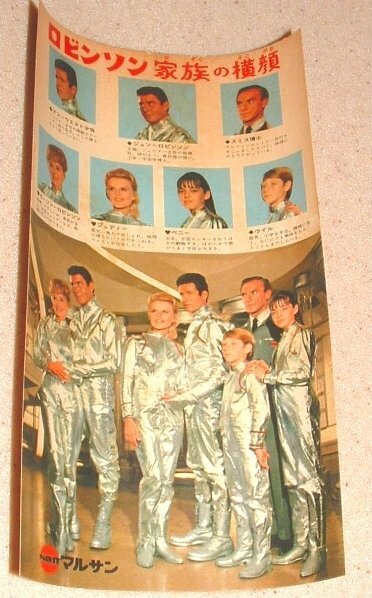 They also rank as the #1 Sci-Fi price guide items. 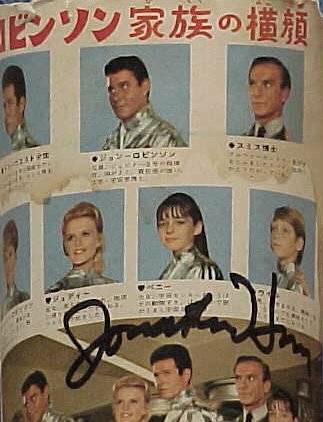 Issued in Japan by the Marusan in 1966. 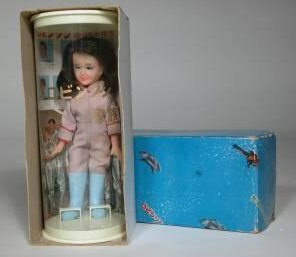 They issued (7) dolls with plastic freezing tubs and boxes. 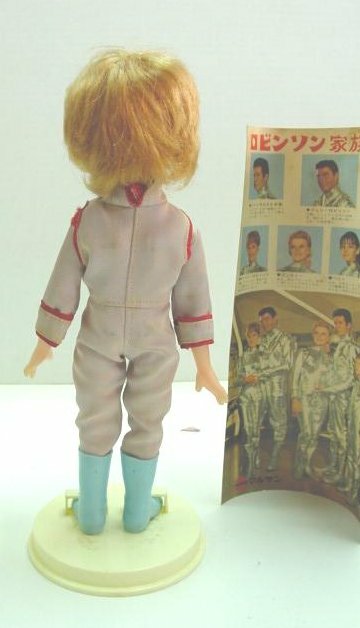 These dolls were never released outside of Japan, and the prices are skyrocking on these in any condition. 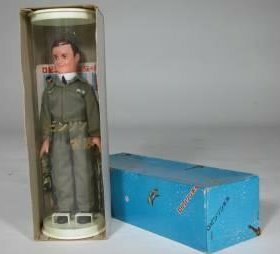 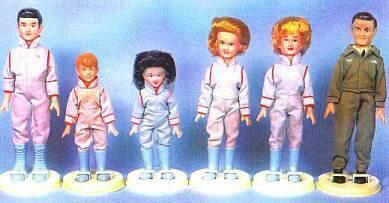 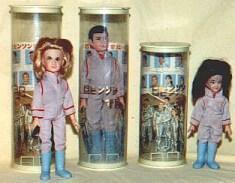 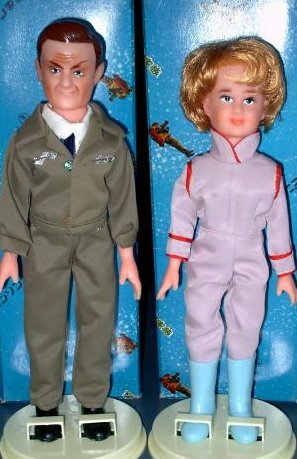 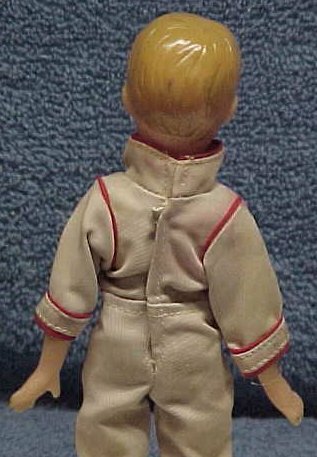 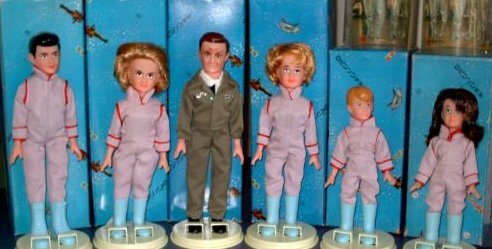 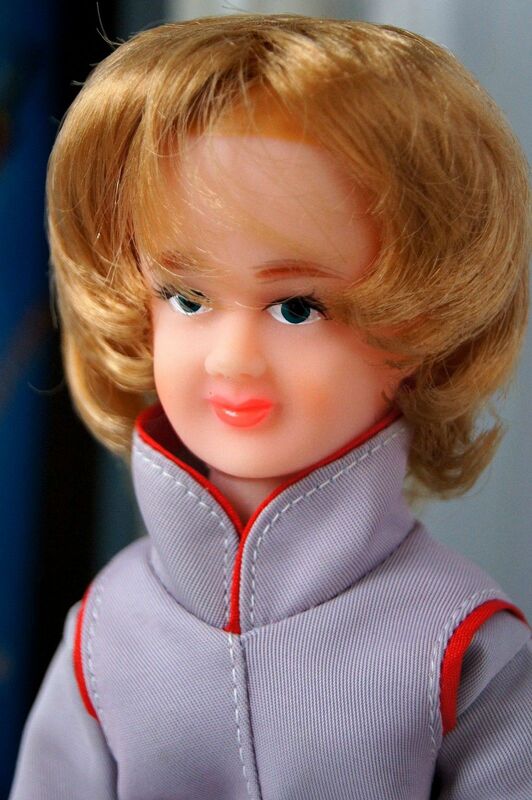 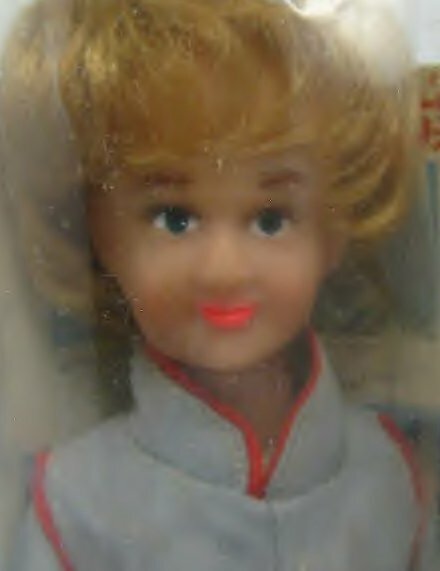 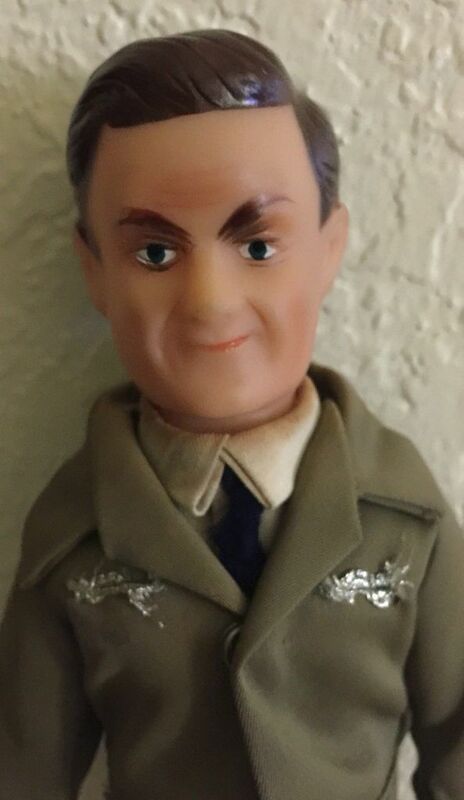 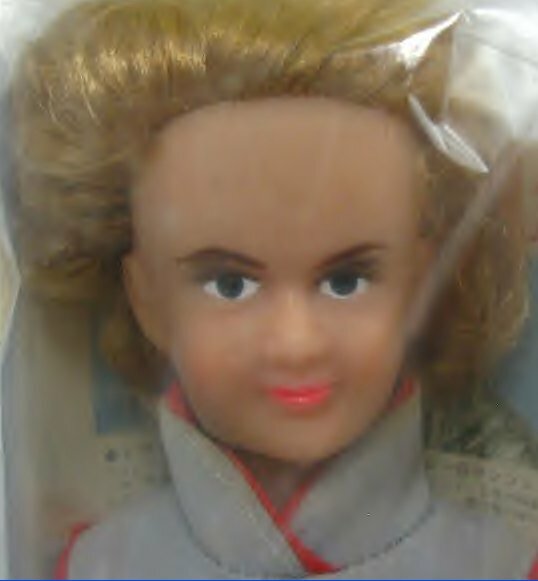 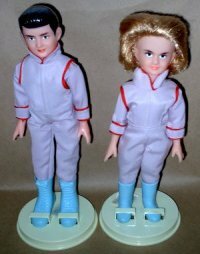 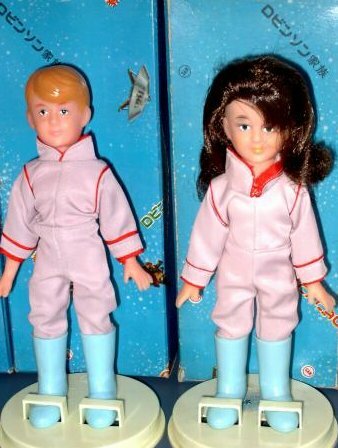 The Maureen and Judy dolls, as well as John, Major West are all the same dolls. 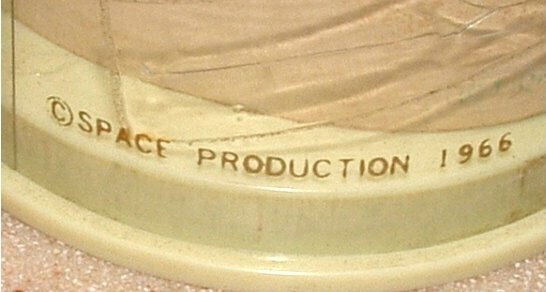 They just added the names on the freezing tubs. 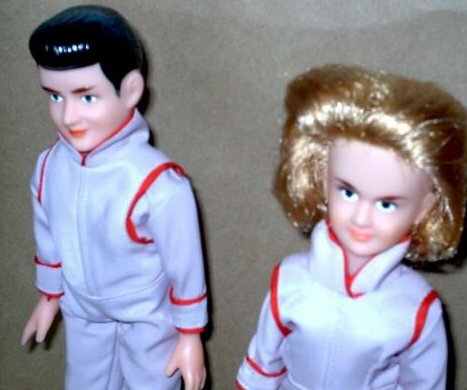 The hair and eyes are also slightly different on Maureen and Judy dolls. 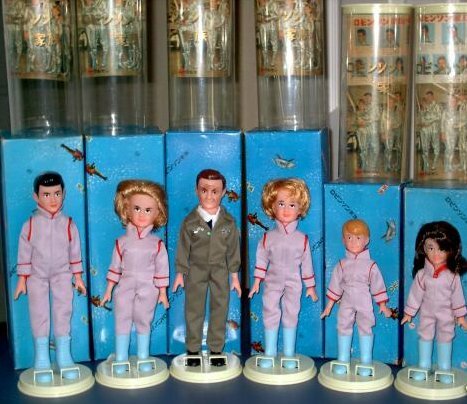 Also, Will and Penny are smaller dolls as well as the tubs, compared to the others in the set. 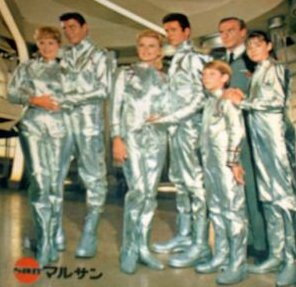 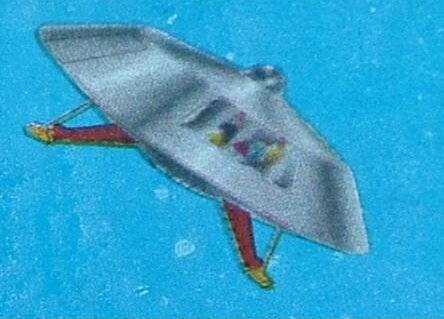 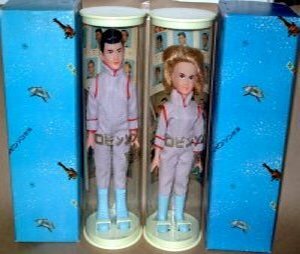 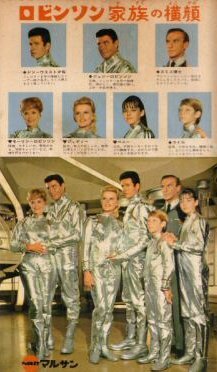 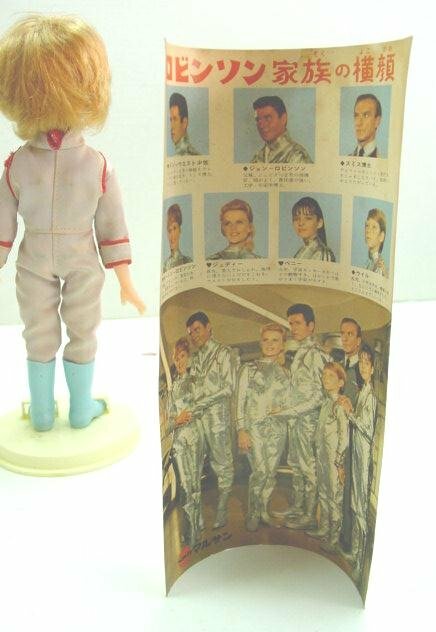 The dolls included a neat photo insert of the entire cast, and the boxes came with artwork with John Robinson flying on the jetpack and the Jupiter-2. 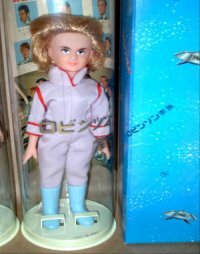 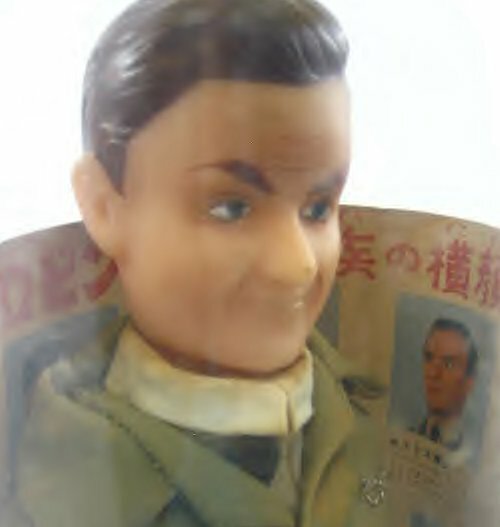 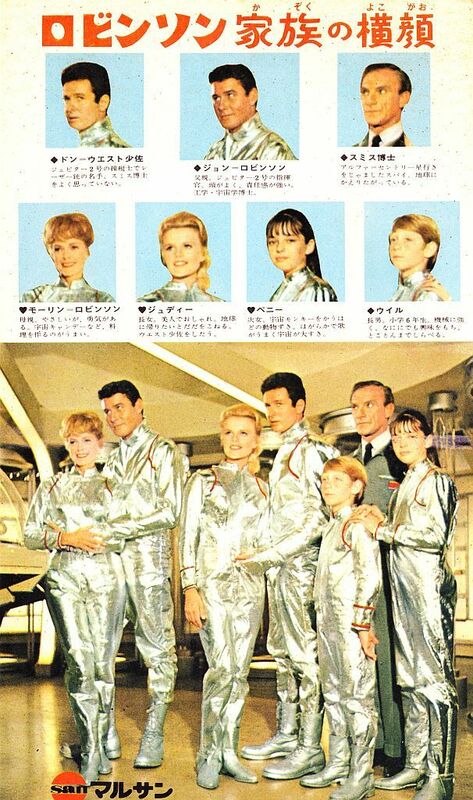 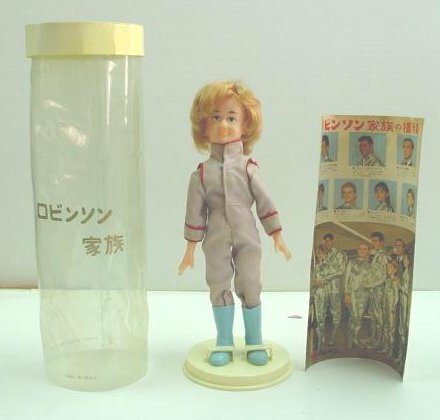 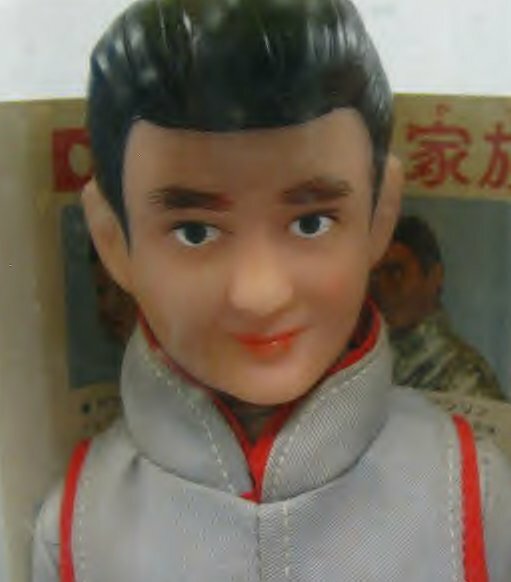 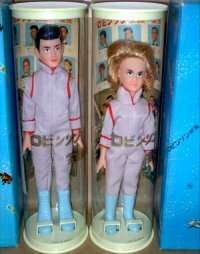 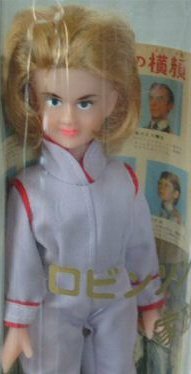 There are rumors that the Japanese also issued a Robot doll, but as of yet, no one has ever seen one! 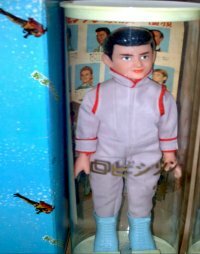 New photo's courtesy of Ken Woo of Cupertino, California. 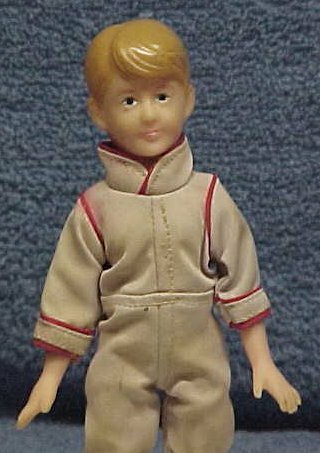 (*) Update: I am proud to annouce after 8 years of long searching I have finally found and purchased the Will Robinson doll. 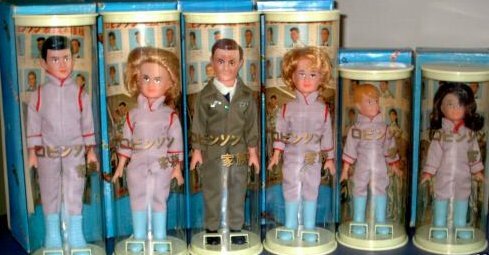 This makes #5 of 7 dolls completing this rare set of dolls. 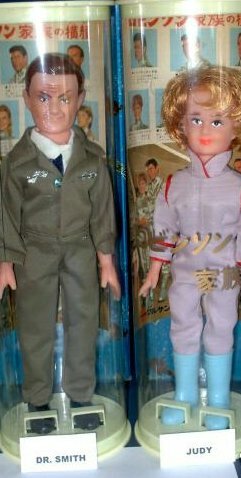 Today, (June 18, 2005) I received an e-mail and photos on both John & Maureen Robinson dolls. 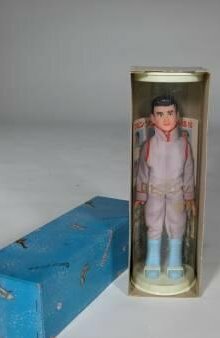 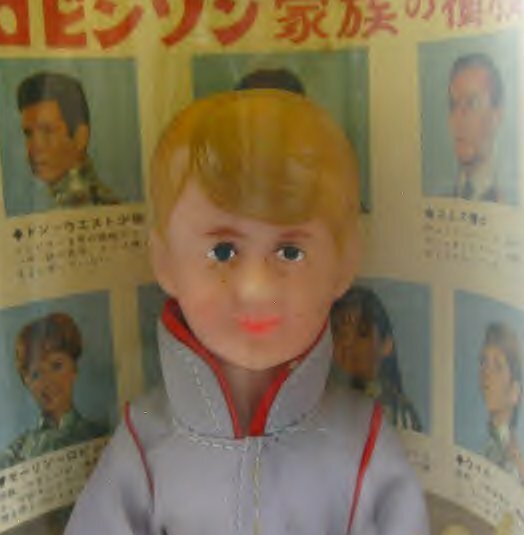 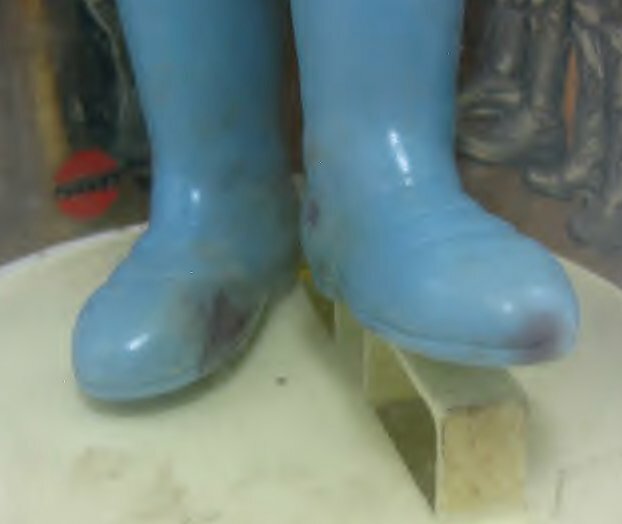 The seller has a complete set of these Japanese dolls, and maybe selling them on eBay. 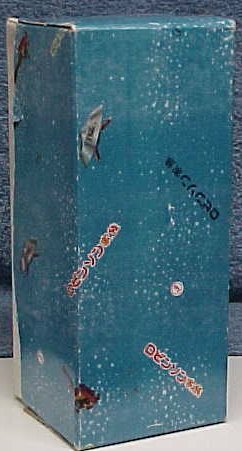 There son passed away several years ago, and went to Japan quite often. 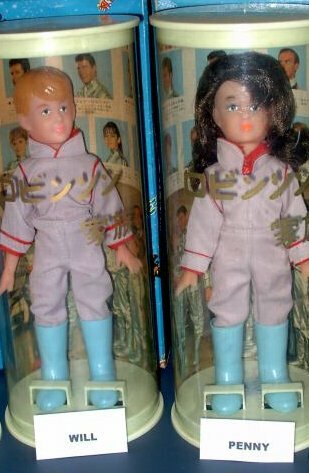 These are the first seen photos on these two dolls. 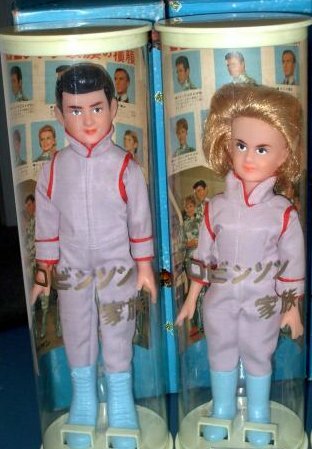 Hopefully, I will be purchasing these two dolls completing this rare collection.